Sometimes an in-ground sprinkler system isn’t the best solution for keeping your plants lush and healthy. 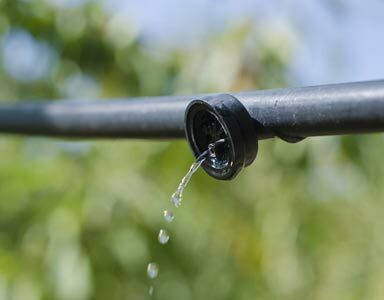 For many applications, a drip irrigation system is a better option. Non-native species. Some plants can have significantly different watering needs based on their native climates. If you have cacti, ferns, succulents or tropical plants, drip irrigation might be right for you. Windy areas.If you live in a particularly windy area, such as Dublin, much of the water from your in-ground sprinkler system could just blow away. Delivering water right to the root via a drip system solves this problem. If you have a weed problem. If you have a recurring or difficult to manage weed problem, drip irrigation will help starve them of the water they need to thrive. If you have bad soil. 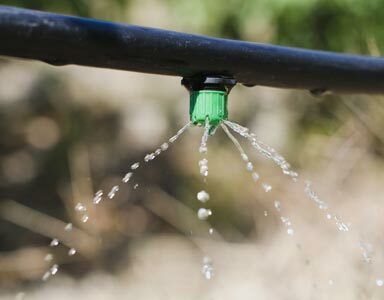 If you live in a city with with hard, nutrient-poor soil like Livermore, switching to drip irrigation makes it easier to deliver ongoing fertilizer to your plants. Of course, drip irrigation systems aren’t without problems. Drip lines can be vandalized, tripped on, or eaten by rodents, and improper installation is always a risk if you call the wrong people. The best way to avoid these issues is to bring in an expert who can help determine if your property is a good fit for drip irrigation. So is drip irrigation right for you? Speak with one of our irrigation specialists today and find out. We only use high-quality parts for all drip systems, such as Netafim Techlines, so we’ll always leave your system ready to perform for the long term. Call now for pricing and availability.